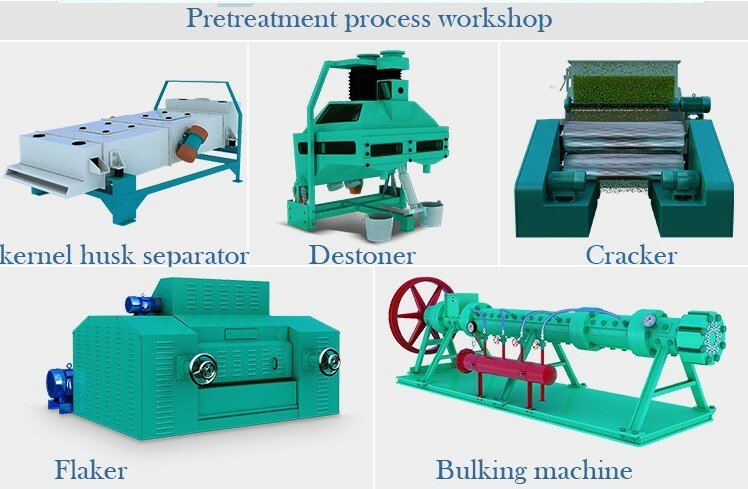 The oil material pretreatment process includes the cleaning section,breaking section,flaking section ,softening section and oil pressing section. 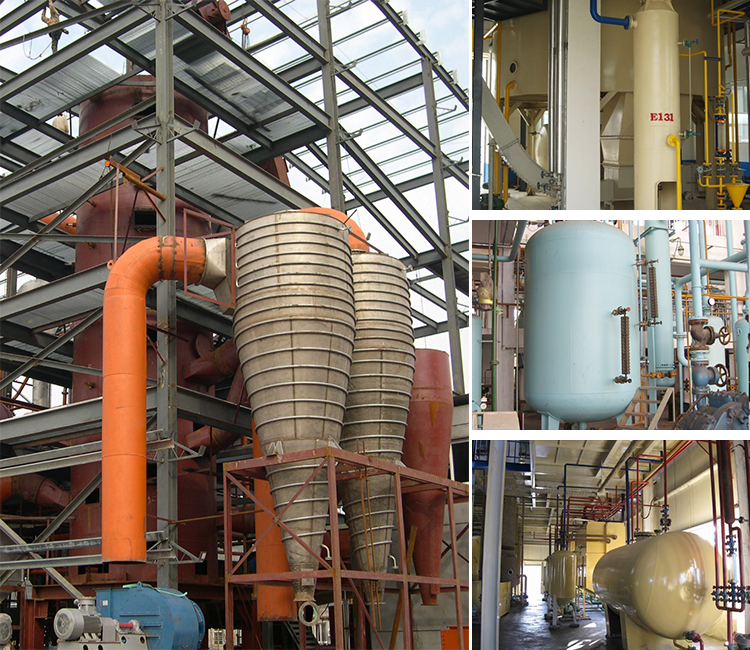 Cleaning:remove most impurities from the material, such as stones, dirt, etc., to prepare for the next crushing process, improve crushing efficiency and extend machine life. Crushing:after the crushing process, the material is broken into small pieces, which improves the efficiency of the material being pressed. 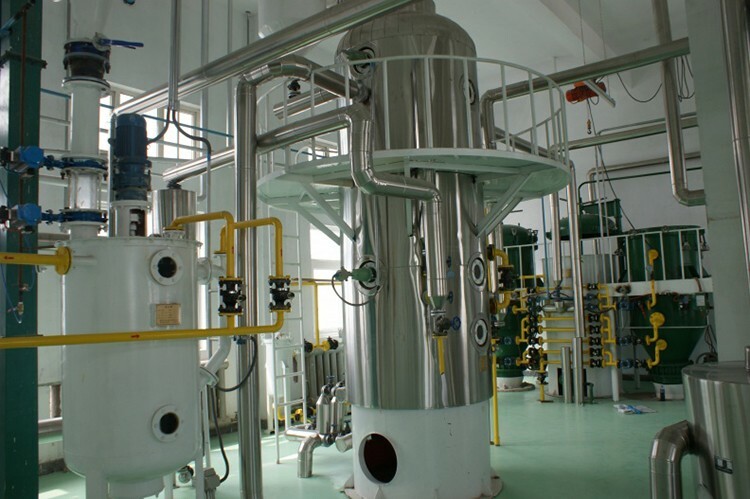 Softening process:Increase the moisture content and temperature of the material, and ultimately increase the final oil output of the material. Flaking process:the material is pressed into pieces in this process to increase the amount of oil discharged from the material. Oil press:the treated oil enters the squeegee from the hopper. Under the condition of high pressure, the embryo is continuously pushed inward by the screw press, and is pressed to finally produce oil. Extraction:The solvent enters the material and extracts the oil inside the material under a certain temperature and pressure. DTDC:It consists of seven layers. In the first three layers, the wet mash is heated and heated by indirect steam. In the next two layers, stripping is carried out under the action of direct steam, the sixth layer is dried with hot air, and the seventh layer is cooled. Evaporation:The difference between the boiling point of the oil and the solvent is used to separate the solvent and the oil. Stripper:The separated solvent can be dissolved in the selected paraffin or solvent and recovered. A general term for a series of processes for removing solid impurities, free fatty acids, phospholipids, gums, waxes, pigments, odors, etc. contained in vegetable oils. Enhancing the nutritional value of edible oils has great benefits for human health. Deacidification and Degumming:This step is mainly to remove the excess acid in the grease. 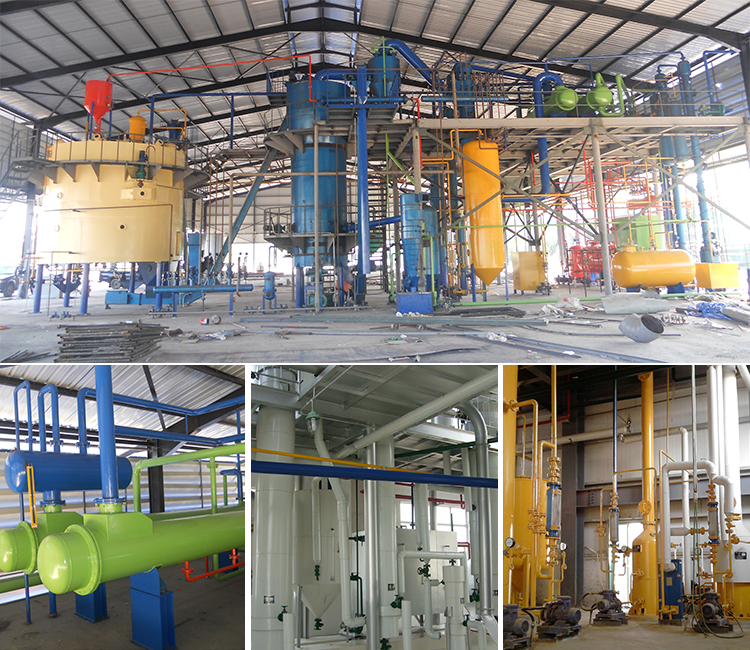 Decolorization:The decolorization process greatly enhances the oxidation stability of the oil, and this process also has a great influence on the subsequent deodorization process of the oil. Deodorization:Deodorization of oil and fat not only removes odor substances in oil, but also improves the safety of oils and fats. Filteration:Miscella mixed by oil and clay from bleaching tower is pumped into decolorizing filter. 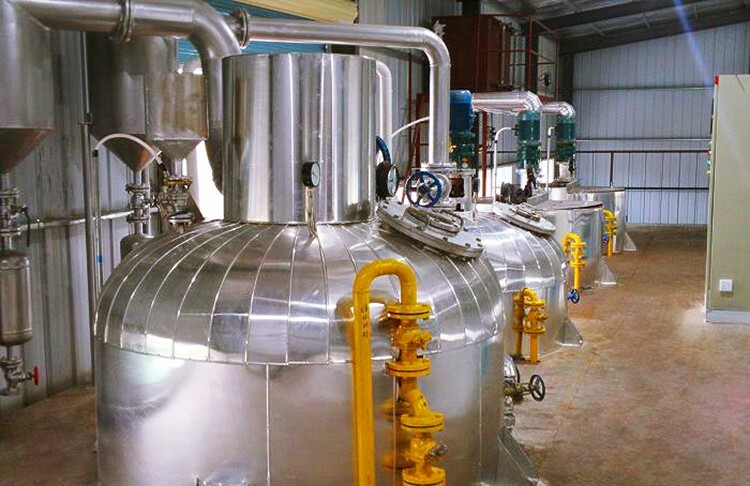 Dewaxing process:Bleached oil enter into crystallizing tank through heat exchanger and begin the cooling crystallization process. 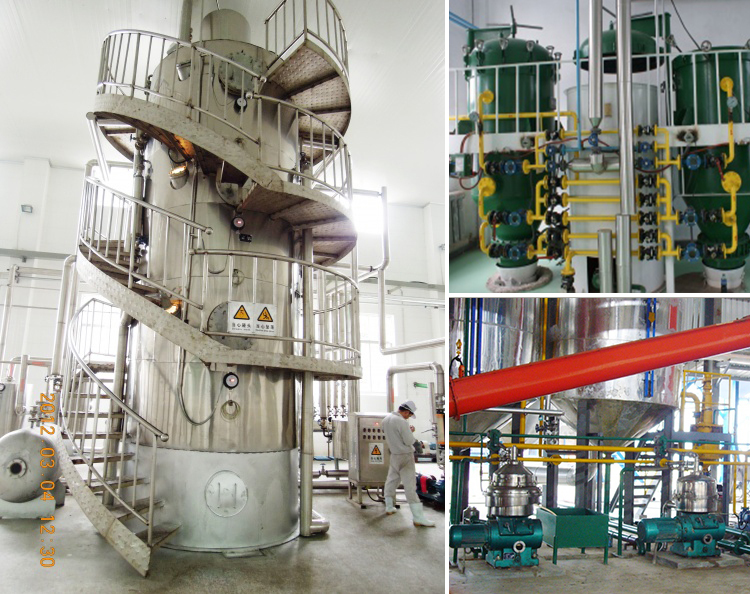 Zhengzhou Qi'E Grain&Oil Machine Co.,Ltd is a large-sized joint-equity enterprise which specialize in producting edible oil mechanical equipment, corn oil making machine and it is aslo a group enterprise integrating scientific research, manufacturing,sales as one.Our oil making machine are exported to more than 30 countries,and regions such as Russia, India, South Afica, Ukraine, Nepal, Indonesia and so on. 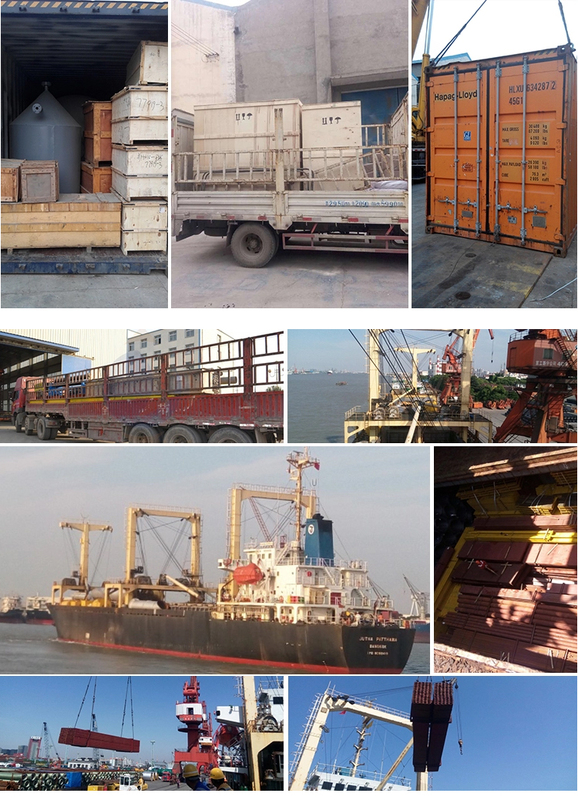 Any special requirement of shipping, please talk with us, we will help you to solve the problems.if the amount of goods to be deliverd is relatitively small ,the goods will be packaged in the form of export wooden boxes .if the goods are shipped in the large quantities,the goods will be directly loaded into the containers and cut and reinforced to prevent the goods from colliding. 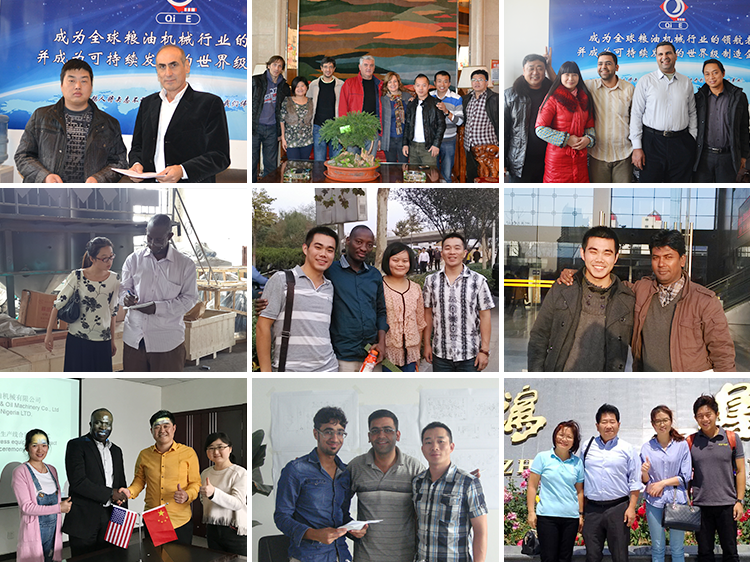 Q:Are you a manufacturer or a foreign trade company? A:We are an industry and trade integrated company. Q:What if I don't operate this product? 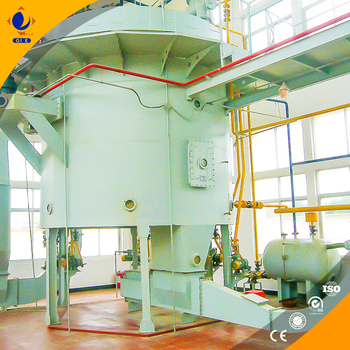 A:Our machine operation video and manual are for your reference. If necessary, we will send engineers to train for you personally. Q:Can you provide more information about production and quote the best price? A:According to your needs, we will choose the right product for your reference. When we determine one or several products, we will quote you the best price. Q:How long does it take to receive my product? A:our business manager will recommend the appropriate transportation route for you to ensure safe and fast delivery of the goods. Q:How is the quality of your products guaranteed? 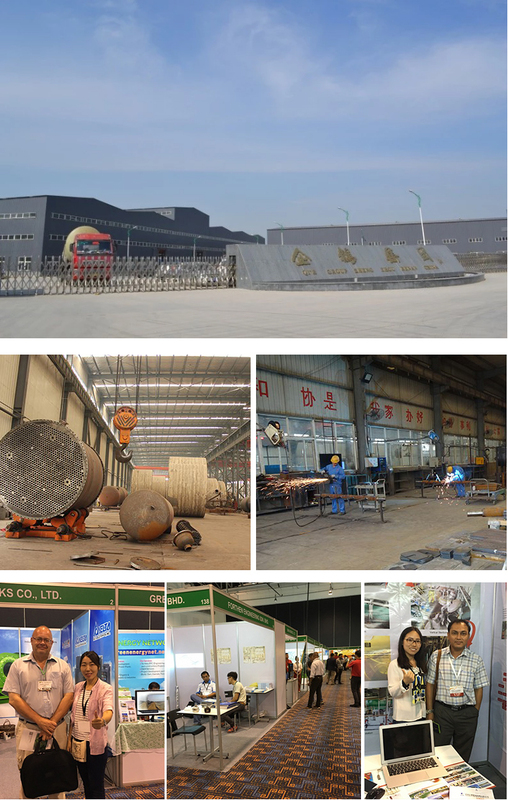 A:After the completion of production, our quality inspection can not test the product. If you need it, we can provide third-party testing service to ensure the stable production of the equipment. If you have this need , please contact us , tell us your requirment and communicative ways , we will reply you soon .